The Estonian Atlantic Treaty Association is an organization that joins together more than 200 members, of whom most work in the sphere of defense –and foreign policy. The EATA presents in itself a strong network which enables to keep up with the latest developments and events taking place in the field of security policy. In addition to the monthly public or semi-public events which take place as outreach and training events and are designed for different groups of society, the Association also organizes non-public round tables and panel discussions, based on “invitations only” policy. The members of the Association will be informed about those events in the first order. We also keep members informed about the events organized by other organizations, as well as keep them updated via our website and Facebook about the current developments in defense and foreign policy, both in Estonia and abroad. Members of the Association are divided into members, associate members and honorary members. Membership is open to Estonian citizens or any other citizen of the European Union Member State, as well as the citizens of the NATO Member States. Associate member of the Association can be a juridical body and is entitled to participate in the work of the Association, however, without the right of vote. In addition to members and associate members, the Association also has honorary members. Every member has the right to propose a candidacy of an honorary member if this person gives his or her consent. The candidate must be a person whose activities have been significant and consistent with the objectives of the Association. Honorary member shall have the same rights as the associate member of the Association. The candidacy will be presented to the Supervisory Board by the Board and later appointed by the Supervisory Board. An individual who wants to apply to become a member or associate, must present a written application to the Association. The Supervisory Board decides the admittance at the next meeting of the Supervisory Board, following the receipt of the application. The Board shall notify the applicant within 30 days in a written form. If the Supervisory Board does not agree upon giving a membership status to the applicant, the membership will be decided at the next general meeting. The rights of the membership start after the member has received an acceptance notice from the Board and has paid the membership fee in accordance to the calendar year. General Assembly is the supreme organ of the Estonian Atlantic Treaty Association which is the General Meeting of the members. General Meeting confirms its agenda and organization, forms the electoral committee and other working bodies of the General Assembly and controls the powers of the representatives, listens to the reports of the Board, Supervisory Board and Auditing Committee, and provides them with an assessment, approves and amends the Articles of the Association , determines the size of the Board and the Auditing Committee, selects the Supervisory Board and the Auditing Committee for two years, makes decisions on other matters related to the activities of the Association, and approves the annual financial report. Next general meeting will be held on 21st of February 2019 at 5:00 p.m.- 8:00 p.m. at Komandandi House (Toompea 1). 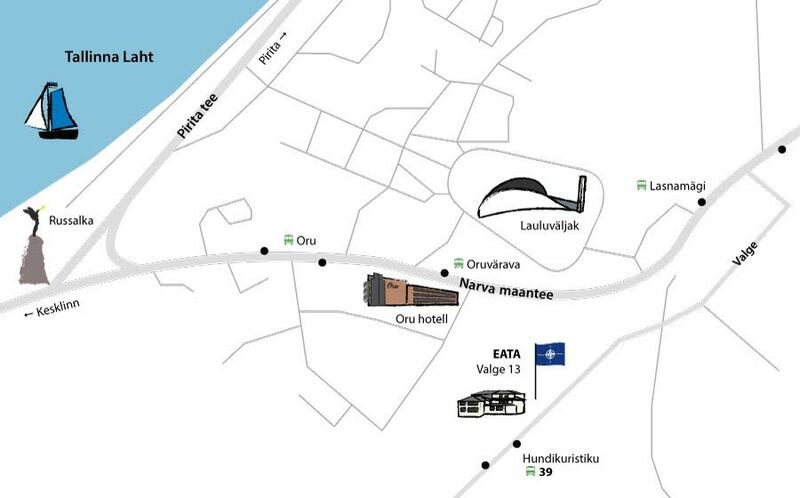 See you at the Estonian Atlantic Treaty Association! *	From where did I get information about EATA?